Ever wondered what it would feel like to soar through fireworks? 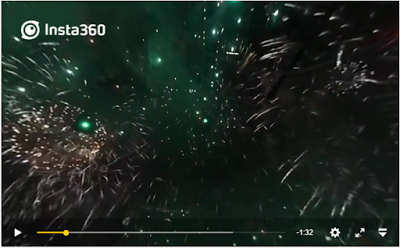 Insta360 produced an awesome aerial 360 video of fireworks using a drone. (It’s on YouTube so you need to select the maximum resolution for best effect). If the 360 view doesn’t work, here’s an alternate link on Insta360’s own website. The video was taken with the Insta360 4k camera, available for preorder from B&H. Insta360 also created a tiny planet video showcasing the 4k camera.